A LED Board Studio revealing your entire logo on the LED Board Screen, with a very high definition all made in After Effect, and… NO PLUGINS NEEDED! - Includes a help file. - NO ADDITIONAL PLUGINS NEEDED! 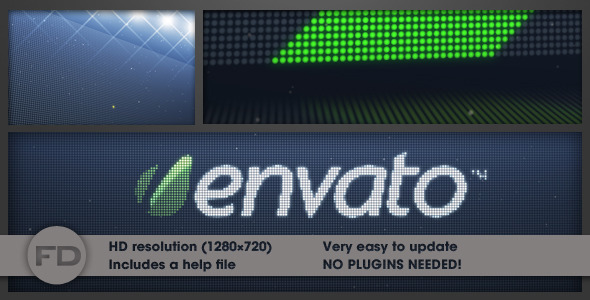 - High definition of the LED Board (made in AE). Some of the details were lost during the compression. Audio is not included, but if you need it, send me an email. Please feel free to contact me anytime if you need help customizing this template. Thank you and don’t forget to RATE!